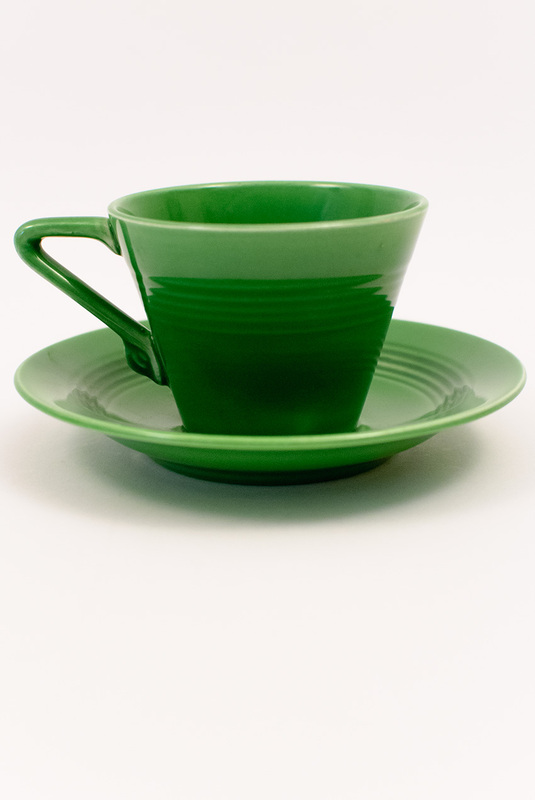 Circa 1959-1965: From the Becky Turner Collection—After the plate, designer Frederik Rhead turned his attention to creating the teacup and saucer set. It was here, on the humble teacup, that so many of the elements that we will see across the entire line make their debut. The angular handle, scalloped teardrop endings and bands of concentric rings wrapping around the bodies center, appear on such grandeous pieces as the Harlequin Marmalade and the classic Teapot. 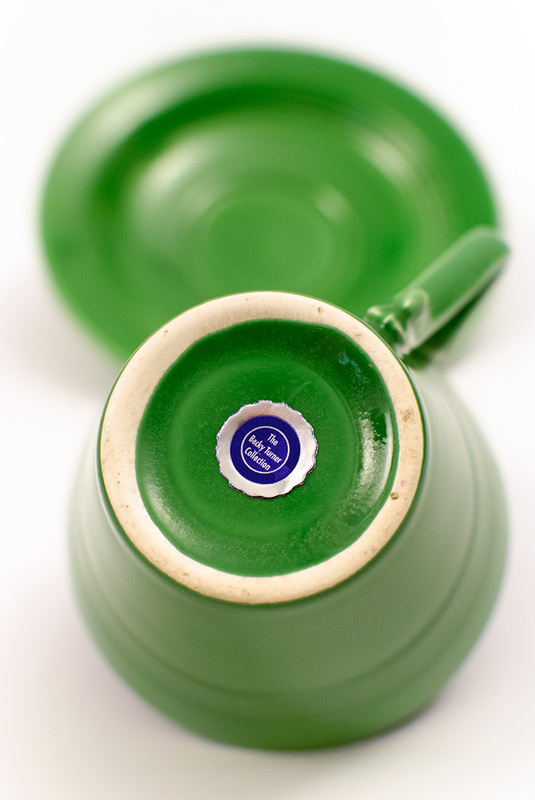 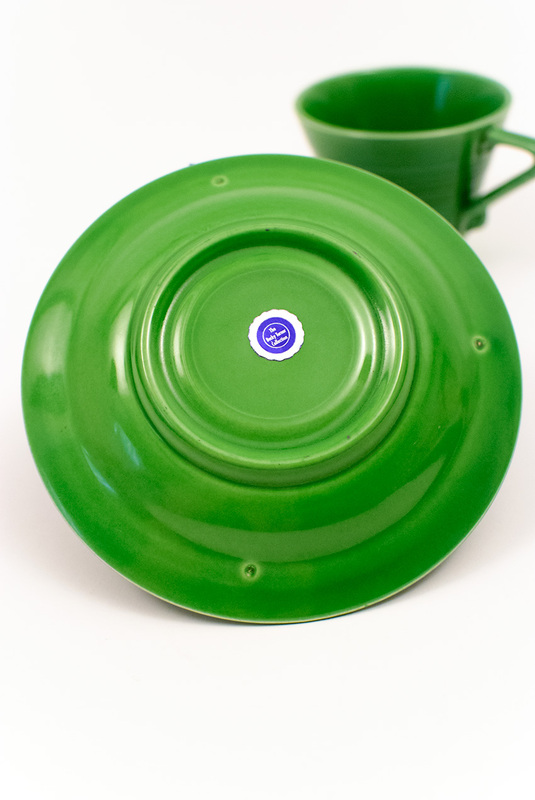 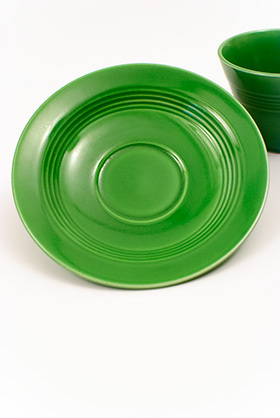 This example, in the Medium Green glaze is in unused condition, without a scratch or spot of use. 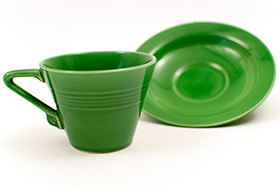 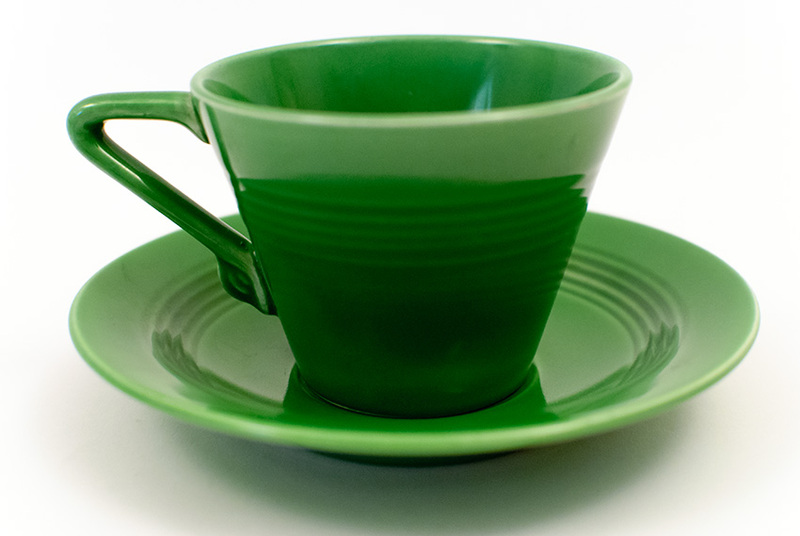 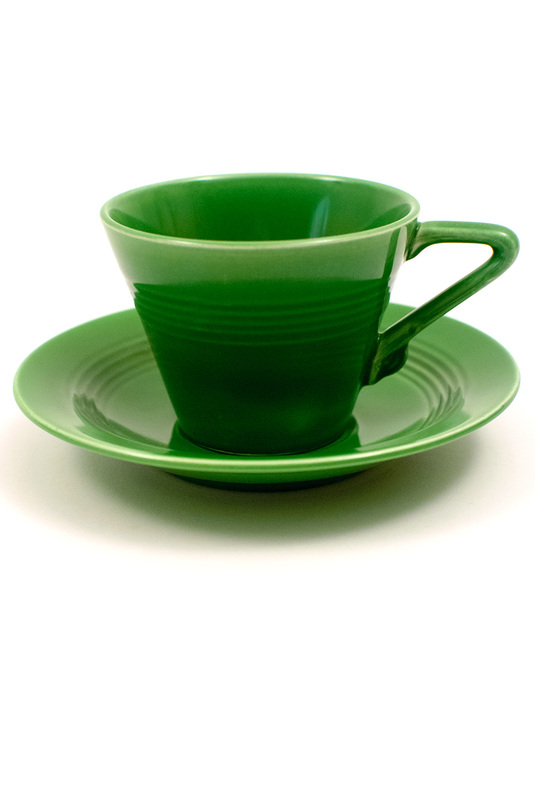 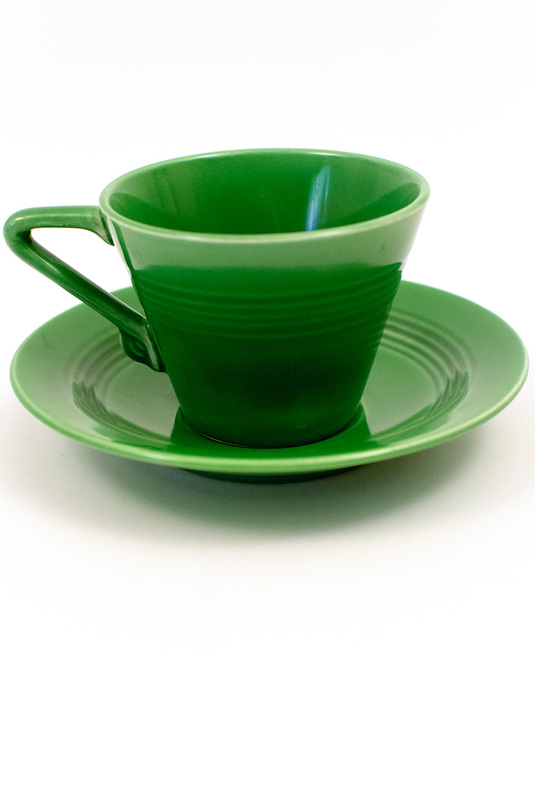 Marked on the bottom with the seal from The Becky Turner Collection, this set comes from an advanced collection and is a spectacular example of the Harlequin Teacup and Saucer Set in Original Medium Green Glaze.